High Quality 28mm Thick Interlocking Logs as Standard. All windows and doors are all handcrafted joinery and are fitted with the draught seal system ensuring that you are kept snug during those winter months. A log Cabin is built to last. 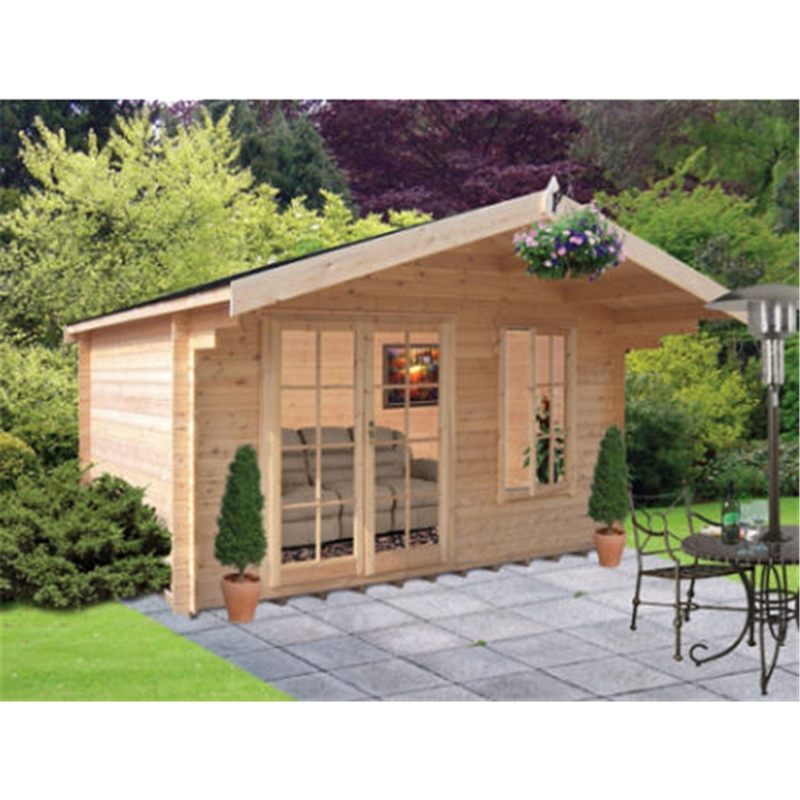 A log cabin gains its strength and stability from its corners and the 4 way corner joints used in their log cabins ensure their log cabins are sturdy and will withstand all weather conditions so you can relax in a Log Cabin whatever the weather. When choosing a location for your Log Cabin allowance should be made for roof overhangs. It is absolutely essential that the base for the building is level.